In recognition to their contribution to the success of the Association Executives Summit II held on November 19-20, 2014 at the Philippine International Convention Center (PICC) and for their continuing support of the aims and ideals of the PCAAE, the PCAAE Board granted honorary memberships to Mr. John Peacock of Associations Forum (Australia) and Mr. Glynn Cho of Korea Association Management & Consulting. Honorary Membership is given to individuals who have been closely connected with the profession and have provided assistance or service to the PCAAE’s well-being and sustainability. Messrs. Peacock and Cho join Mmes. Greta Kotler (American Society of Association Executives -ASAE), Susan Sarfati (High Performance Strategies) and Liz Jackson (Jackson Consulting, Inc.). Mmes. 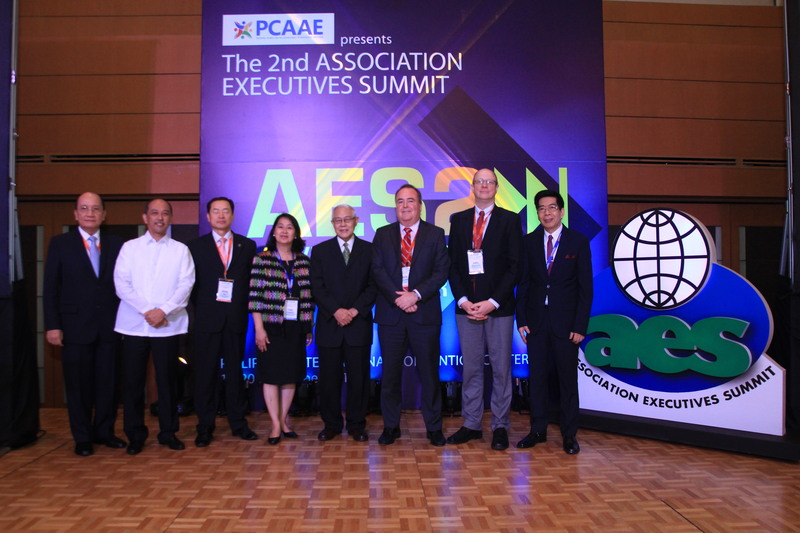 Sarfati and Jackson were the key resource persons of the AES I and during the launch of the PCAAE on November 19-20, 2013, also held at the PICC.